As vice president of finance and administration for StriveTogether, Brittany Speed provides leadership, financial acumen and strategic insight to ensure the financial health, integrity and growth of the organization. Brittany began her professional career in public accounting, working for Deloitte and Touche, a top global accounting firm. Following the launch of her career, she continued to develop and articulate her financial and analytical skills by serving in various financial planning and analysis, compliance, program management and consulting capacities. Brittany also brings a multitude of process and operational leadership, developed from her work across public and private entities, as well as within the nonprofit sector. Brittany is also very active in the community and nonprofit industry. 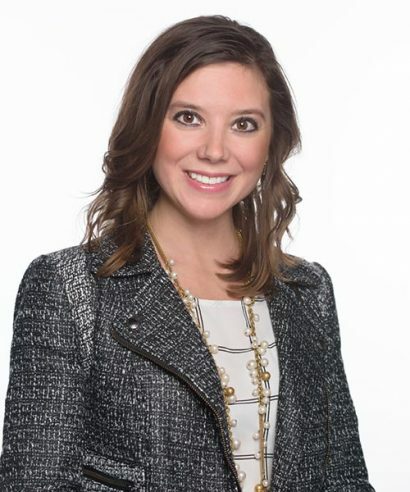 She is currently the secretary of the Executive Board for Cancer Family Care and serves as a trustee for the Ault Park Advisory Council, where she has raised several thousands of dollars to directly benefit the organizations through event and fundraising development. An avid runner, she also serves as a marathon coach, pacer and trainer with her local running group, as well as co-founded her own female-based running community in Cincinnati, Ohio. Brittany holds a bachelor of science in accounting and a communications minor, as well as a master’s in business administration from the University of Dayton. She is also a certified public accountant. An architect or a teacher. Math and then later calculus (dorky, I know). Run — for a really long time — without stopping. Italy. I lived in Rome for a summer in college and I am dying to go back!